The cat caught a rat. My boyfriend left me just after I'd lost my job and I really needed him. What a rat! The strikers tried to stop the rats crossing the picket line. I can't stand that guy! He's a rat. Melanie is so fit; she's a real gym rat. When the robbers got arrested, they knew one of the other gang members must be a rat. Luke is worried that Steve is going to rat to the cops. The verb rat can also refer to styling the hair so it looked very big on top, like women did in the 1960s. Here’s a video on how to do it! Rat dates back to before the year 1000, and appeared first as the Old English ræt, before evolving into the Middle English rat(t)e, and eventually taking the spelling we know today. It is related to the Dutch rat, and the German Ratz and Ratte. The verb only dates back to the early 19th century, and first appeared meaning ‘to desert a side or party’ in political discussions. 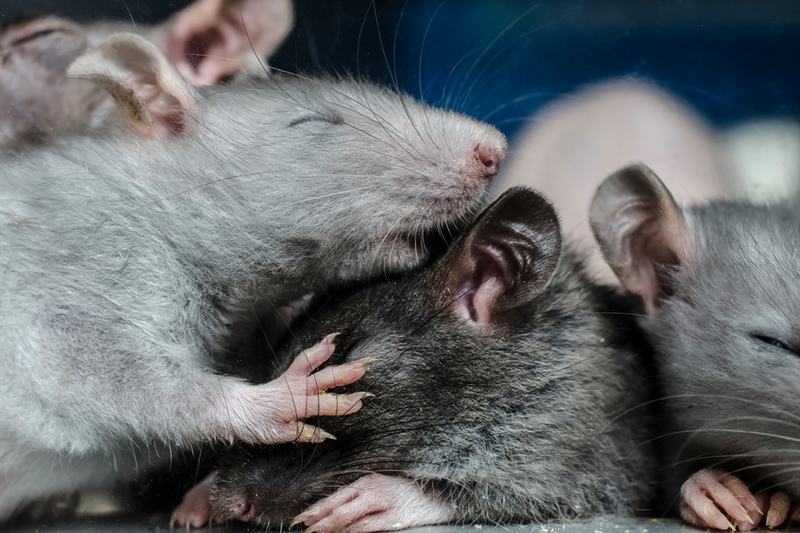 In the mid-19th century, rat was also used as a verb meaning ‘to catch rats,’ but that meaning is almost never used these days. The sense ‘to inform’ only appeared in the early 20th century.